Rail MADAD & Menu On Rails, IRCTC's 2 New Apps! Rail MADAD & Menu On Rails, IRCTC’s 2 New Apps – Here Is All You Need To Know! Indian Railway Catering and Tourism Corporation or IRCTC has launched two new sizzling apps for passengers, directed towards customer service. Railway Minister Piyush Goyal was present during the launch. Rail MADAD or Mobile Application for Desired Assistance During Travel has been launched by IRCTC, through which any passenger can lodge a complaint with minimal details. 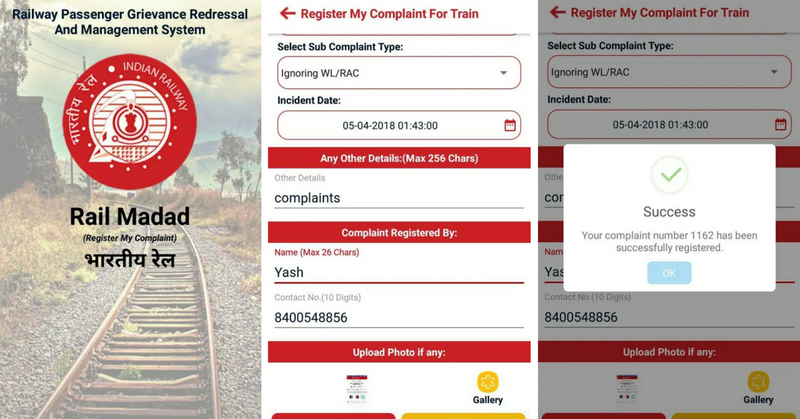 Passengers can lodge complaints using this app using minimal information like train number, coach and name. Once the complaint is lodged, the passenger will be assigned a unique reference number, which can be used for taking follow-up. As soon as the reference number is generated, the concerned authorities are notified, and action is initiated. The passenger shall receive updates and action taken via SMS alerts. The app also features helpline numbers in one single place. An offline model of the same app would be also introduced soon. Often passengers are misguided and misinformed regarding the price of food items being sold inside the trains. 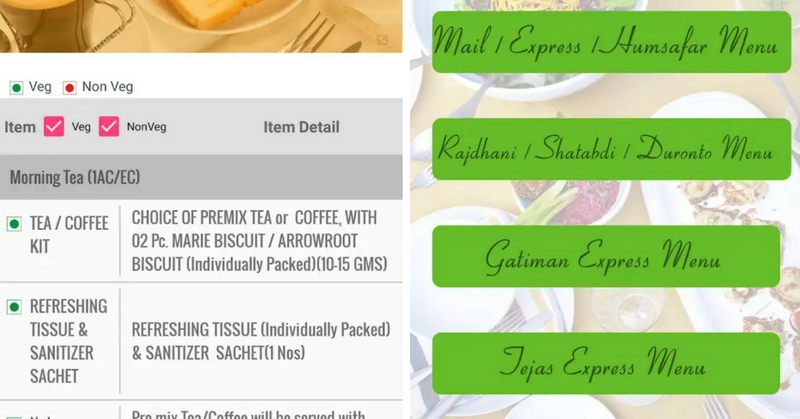 In order to address the issue of the price of food items, IRCTC has launched Menu On Rails app, which will inform you about the MRP of any food item, before ordering. Divided into 4 different categories, this app features prices of beverages, breakfast, meals and a-la-carte. Under the a-la-carte option, there are 96 food items, divided into breakfast, light meals, combo meals, non-veg, diabetic foods, Jain food, sweets, etc. However, as of now, the app will only display the prices of food items being served on these trains: Humsafar Trains, Rajdhani Trains, Shatabdi Trains, Duronto Trains, Gatiman Express and the Tejas Express. In case of pre-booked meals in Duronto, Rajdhani and Shatabdi trains, the app will display individual food items. In case of Duronto, food served in sleeper class is also displayed, along with special food orders if these trains are running late. The only thing missing is ordering the food via this app, which hopefully, would be introduced soon. "Rail MADAD & Menu On Rails, IRCTC's 2 New Apps - Here Is All You Need To Know! ", 5 out of 5 based on 2 ratings.